Baking And Boys! : Winner, Winner, Winner! 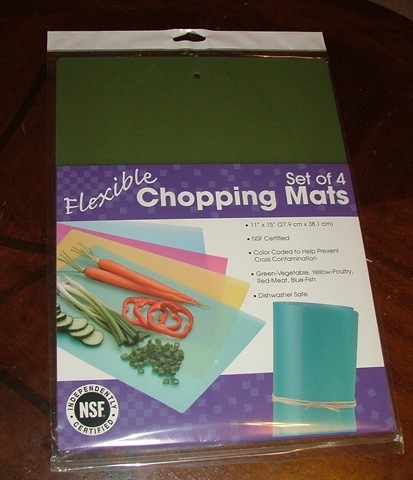 We have picked a winner for my giveaway--the digital kitchen scale and chopping mats! We had a lot of fun picking the winner. I thought it would be neat to involve all the guys here at our house. We put each of the names of those who left comments telling me their middle names in a bowl and each of the four boys picked a name. Then we put those four names in a bowl and Kevin picked the winner from the four names. We were able to get Sam to narrow it down to one pick. Then we took the four names the boys had picked and put them in a bowl and let Kevin pick the winner from the four chosen. My middle name used to be Lynn, but when I got married I changed it to my maiden name, Mullins. CONGRATULATIONS, SUSAN BROWN! Please email me at kevnkoi at hotmail dot com as soon as possible with your mailing information and I'll get those prizes sent off to you, probably Monday! If I don't hear from you by Monday morning, I'll go ahead and pick another name. 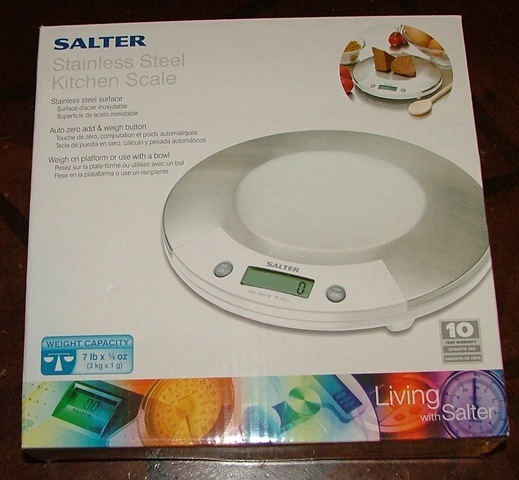 You will be so happy with the digital scale, I use mine everyday! And have been chopping things like crazy on my new mats. ENJOY and Congratulations! This was a lot of fun and I enjoyed seeing everyone's middle names! Thanks for playing. My one year "blogaversary" is coming up in February, so stay tuned! Congratulations, Susan. Katrina, your boys are so adorable! PS ~ I just sent you an email with my mailing info. Congrats to Susan! I've wanted a digital scale so she's quite a lucky gal. I also wanted to enter your giveaway but my parents' internet connection was soooo slow. Just catching up on blogs now! What a wonderful giveaway!!!!! Congrats to Susan! this is such a great prize. i'm so sad i didn't see this giveaway. congrats susan!! Sorry I missed your first give away. I haven't been blogging in a while. This has been the first since 2 weeks ago. My parents have come home from their mission and we have traveled there 4 times in 3 weeks. We had a wonderful Christmas and by the looks of it so did you. Love the cookie jar, so appropriate... frogs. Love ya, We need to chat. I love how everyone got involved!! Wow, what a fun blog!! Looks like a lovely, warm family and you seem so full of fun, I guess you need that with so much tetosterone in your home. That was a very good way to chose the winner. I am impressed. I knew I wasn't going to win because my middle name has a negative connotation to it for me because I always heard Tiffany Ellen! When I wa little. I was always in trouble. Congrats Susan! Enjoy! You make your giveaways fun to read. Love ya!